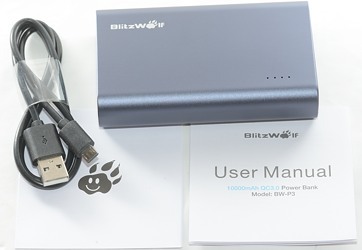 The Blitzwolf brand covers many different products, this time it is a power bank I am looking at. 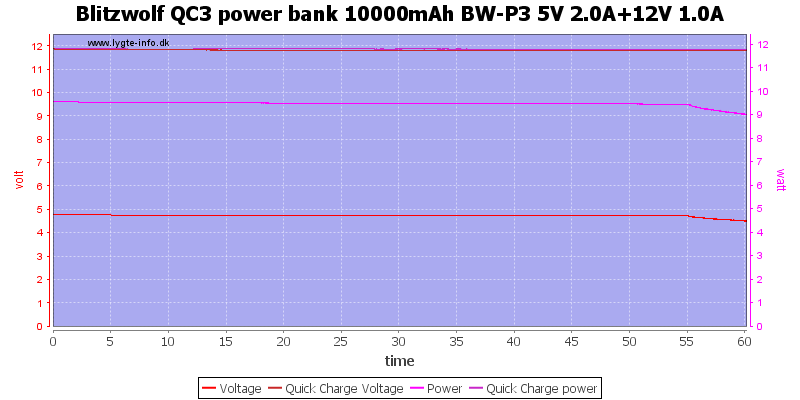 The first version I got of this power bank had a problem with the normal usb output, it is fixed on this one. In this review I am reusing the pictures from the orginal review, but all charts are updated. 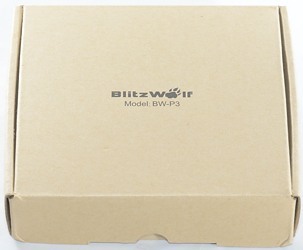 The power bank is delivered in the usual Blitzwolf brown cardboard box. It contains the power bank, a usb cable, a instruction sheet and a warranty card. Both input and both output usb connector is placed at one end. 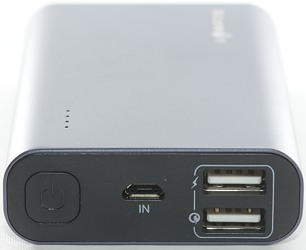 The micro is for charging the power bank and the two USB-A for charging other devices from the power bank. 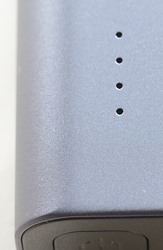 The one with the circle and lightning symbol is the quick charge port. The button is for showing capacity and turning the output on. The other end has some specifications. On top is the four charge status led behind some small holes. The bottom has a note about QC3. 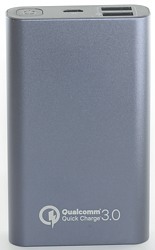 The power bank is turned on with a button press. When not loaded it will turn off after about 30 seconds. Both outputs has automatic coding. The power gauge (The 4 leds) is only on for a few seconds when the button is pressed. 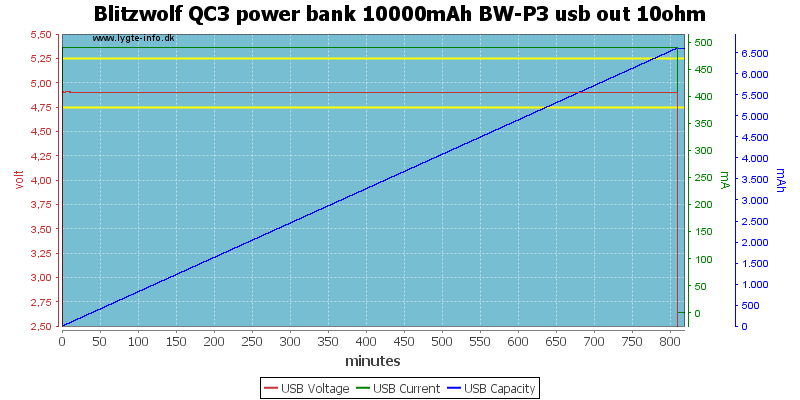 Usb output can be used for UPS, but voltage will be lower when charging. 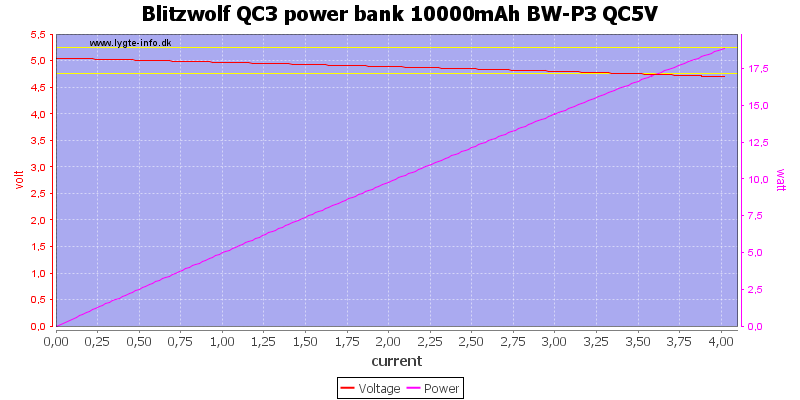 QC output can also be used for UPS, output voltage is independent of charging. 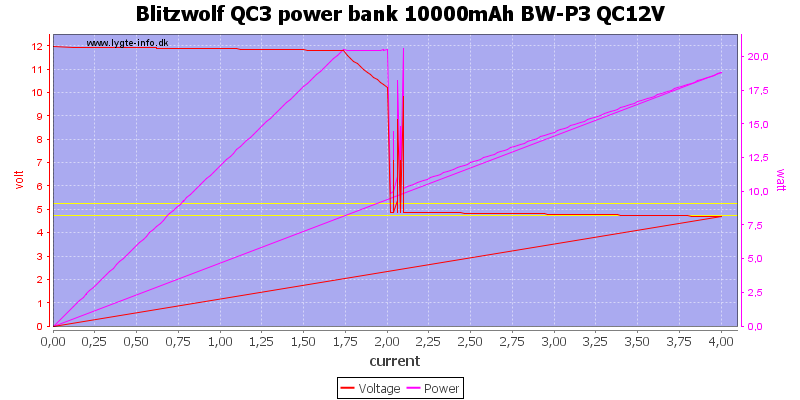 QC3 minimum output voltage is 4.4volt. The power bank is rated for 2.4A and can deliver 2.7A, this looks fine. 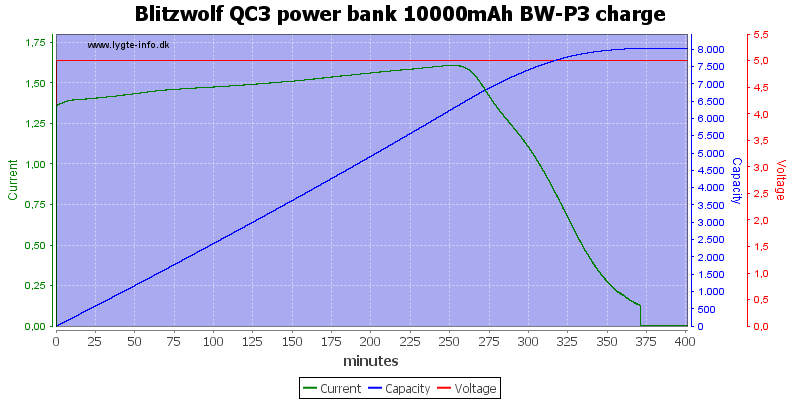 About 13 hours with 0.5A output. 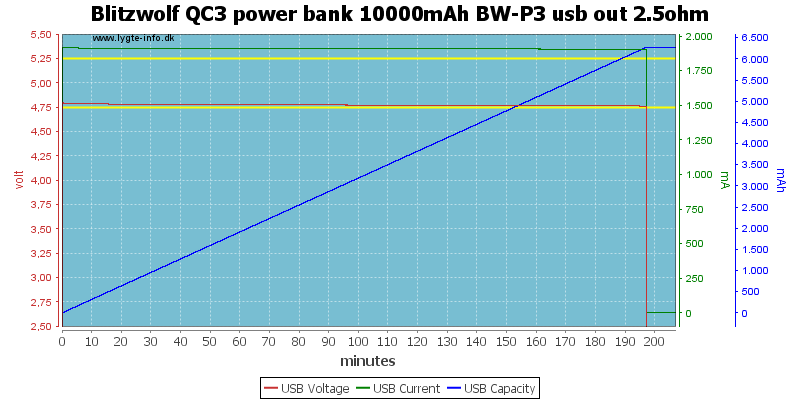 And 6.5 hours with 1A output. A bit about 3 hours with 2A output. In all cases it turns off when the batteries are drained. 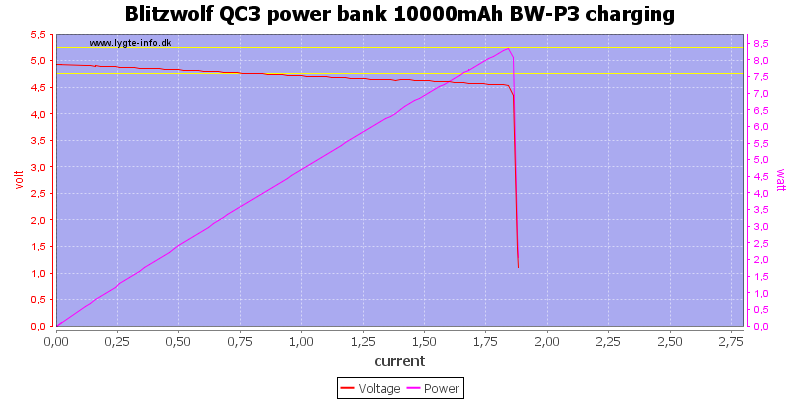 The QC output can deliver more than 4A, it is supposed to be 3A. 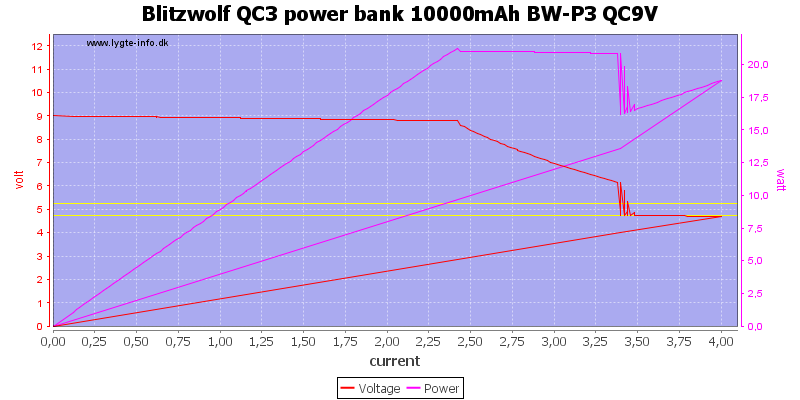 At 12V it can deliver about 1.7A before starting to drop and it will change to 5V at 2A. 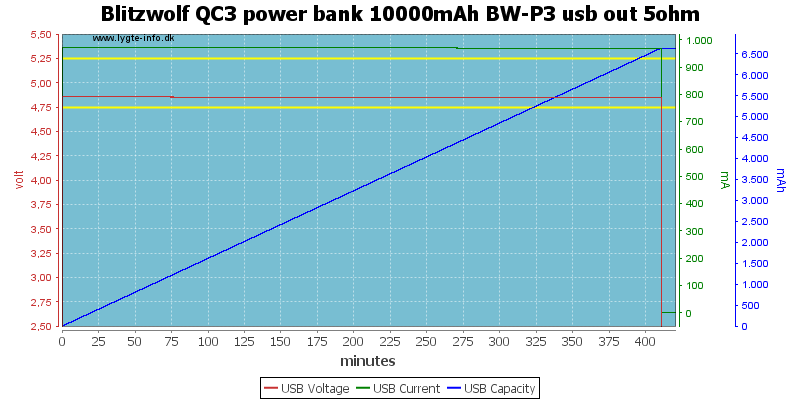 The QC output can deliver about the same energy as the normal usb output at 5V. 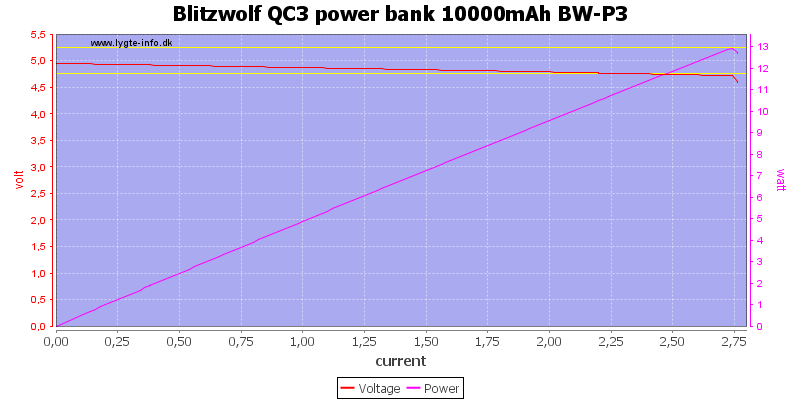 At 12V, where the boost converter has to do a lot more work, the output energy is less. What about using both outputs at the same time? 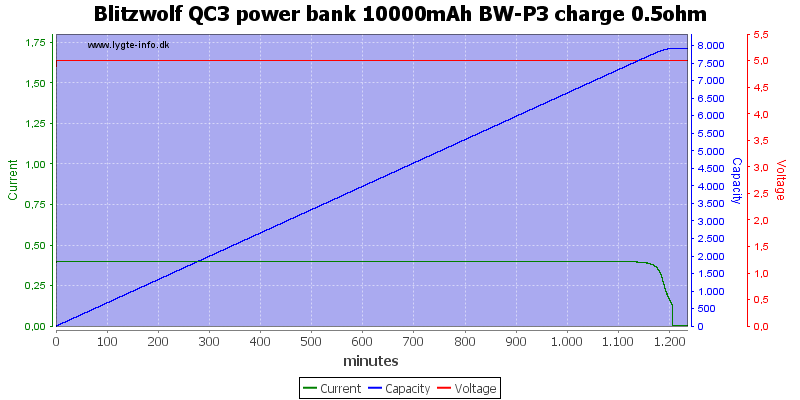 With full load on both outputs it could only maintain voltage for 2 minutes. Reducing load a bit helped, but not enough. With 2A on 5V and 1A on 12V I could run for more than one hour. This is about 22 watt output power. At 0.5A the noise is 3mV rms and 37mVpp. At 1A the noise is 4mV rms and 49mVpp. At 2.5A the noise is 9mV rms and 53mVpp, these values are very good. At 0.5A the noise is 5mV rms and 65mVpp. At 2.5A the noise is 19mV rms and 141mVpp. At 1.2A the noise is 54mV rms and 310mVpp. The charge circuit uses a buck converter and it looks like it is doing CC/CV charge. A full charge takes about 6 hours on a 2A charger. 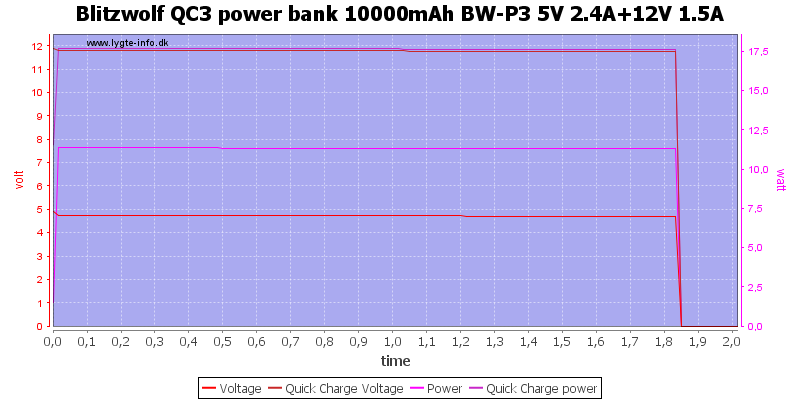 Add a 0.5ohm resistor in series with the charger to simulate a long cable or weak charger slowed the charging down. Very much down in fact, the charging took 20 hours. In my opinion this power bank is way too sensitive about voltage when it is charging. 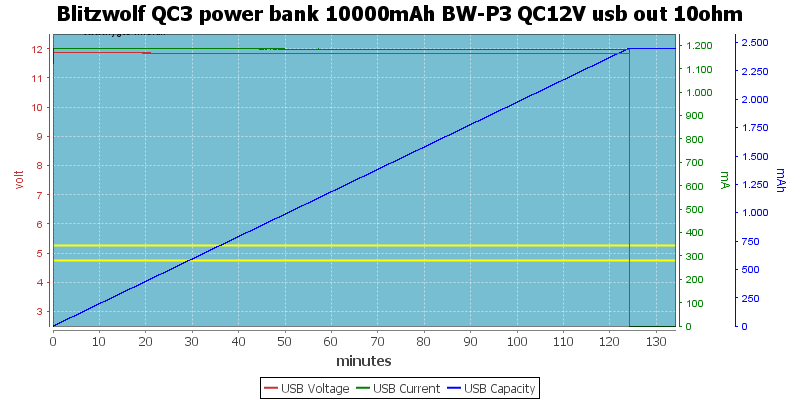 Both usb outputs worked fine, with fairly low noise, lots of current, automatic coding and the expected capacity. 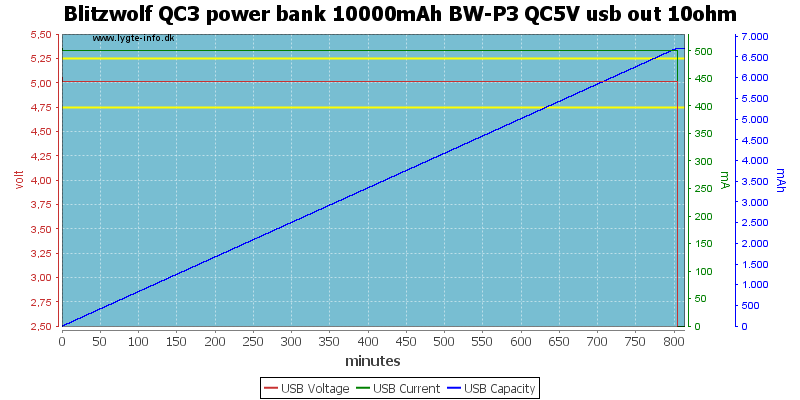 The usb output was slightly below 5V, I would have preferred slightly above 5V (In many situations this works better). I am not very impressed with the charging input, it is way too critical with input voltage, use the wrong cable or charger (One with slightly low output voltage) and the charging may take 20 hours instead of 6 hours. I would have like a better marking of the ports, like an orange usb for QC or just QC printed beside it. This is a good power bank. 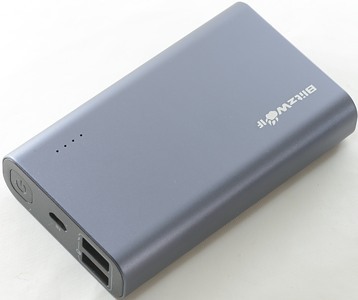 The power bank was supplied by Banggood for review.